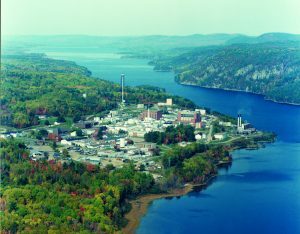 IBEW represents Electricians, Electronic and Instrumentation Mechanics, as well as Service attendants at the Chalk River Laboratories site of CNL. The history dates back to the Local 742 having represented for many decades. The members realized that with the restructuring of AECL and selling off of Candu Energy, that we are stronger together. The merger was completed with Local 586 and has allowed the co-operation between industrial and construction to work together. IBEW has always been a big supporter of the community through many events and donations. Our own IBEW members organize a Charity memorial golf tournament to raise money for the Heart and Stroke association. They do this in memory of Gary Underhill a former IBEW retiree. The golf tournament brings in teams from across CNL and is a prime example of the solidarity shown by the members. Every year the Black Bears Charity Hockey tournament brings in two Teams from IBEW to raise money for an individual or more that has local ties to CNL. The event has grown to be able to also raise money for the local hospital! IBEW is part of the Atomic Energy Allied Council which comprises of UA Local 71, Sheet Metal Local 47, Carpenters Local 93, IAM Local 1522 and Teamsters Local 91. The council operates with the same idea that we are stronger together. The Allied Council bargains the collective agreement inclusive with all the above mentioned unions at the table to ensure everyone’s interests are considered and protected. The IBEW and IUOE have been leading the lobbying efforts in a joint effort with all the unions at CNL across Canada to maintain their participation in the Public Service Pension Plan that was legislated to be terminated in September 2018. 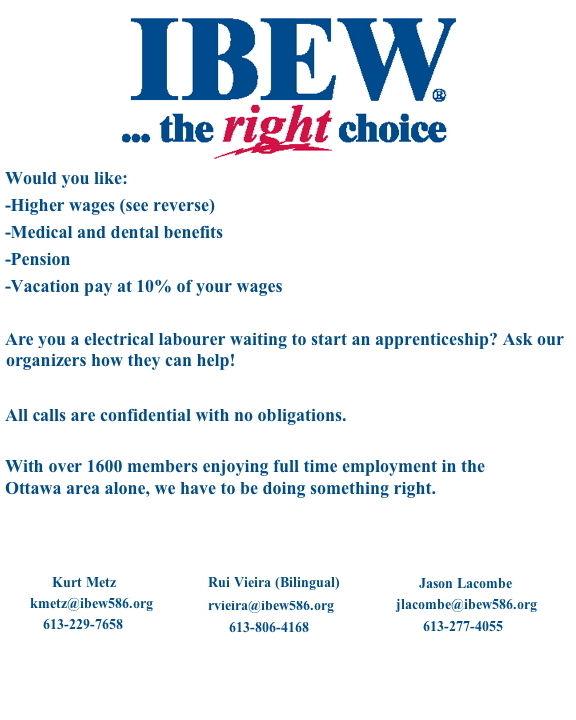 The strong leadership by IBEW has brought the unions closer together than ever before and are well poised to be successful in this endeavour. The membership is always striving to put the best forward and has an active voice for training, safety and security. Safety is always at the front of everything IBEW stands for and is especially true being a Nuclear site and having been part of keeping NRU operating for over 60 years into safe shutdown on March 31 2018. We are ready to move onto the new missions for the Canadian Nuclear Industry; tritium applications, new nuclear fuel designs, research labs, biological research to name a few.